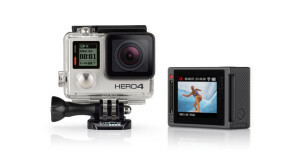 It seems GoPro cameras are currently the ‘in thing’ in the travelling world. I’ve seen many bloggers with them, especially those that are quite active. Cycling is another trend that seems to be taking over the lives of many of my friends at the moment and they too seem to be shouting about this must have accessory. As Mo had planned a trip to Brazil for my 30th, my sister kindly offered to lend us her GoPro to test out, she knew it was something we were considering purchasing. Not at all sure what the fuss was about I was intrigued to take this famous camera out and about with us in Rio. I must admit, Mo was predominantly in charge of it. This holiday was a big deal for me so I wasn’t willing to risk spending my time deciphering a new gadget and missing a perfect shot (I know, it’s so selfish). It’s small. Like fit-into-your-pocket kinda small. Perfect for when you’re on the go or if you’ve already got a lot to carry. It’s the first ever GoPro to feature an integrated touch display. Unlike the previous models, you can now look back at photo’s and easily change the menu and camera settings. Easy time lapse video creation! Who doesn’t love a good time lapse video? Some people aren’t too keen on the fish eye lens, but I happen to like it. 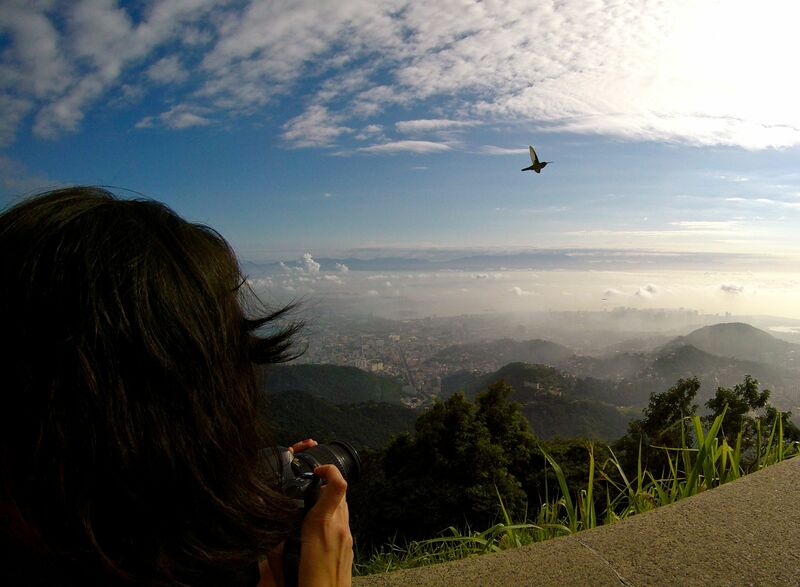 The wide angle lens means each snap captures so much more than a regular lens. It’s like an alternative panoramic without all the faffing around. Surprisingly, I probably would. I say surprising because even with all the pro’s, I really wasn’t blown away by it at the start, I had convinced myself that although it was neat and nifty, it wasn’t the right product for me. However the waterproof casing is a real bonus, I think back to how great it would have been to have this with us when we were snorkelling in the Maldives or when we were in Indonesia. The second reason is for the video. Having such a small device that is able to capture such clear videos really impressed me. We took a number of them on the GoPro and I really have to share my favourite one. Bit of background on it first: Here we are at the top of Corcovado and Mo is trying to capture some video footage of us by Christo Redentor. Watching the video you’ll see a black bird-like speck zoom past us, which we were totally oblivious to when we were up there. Now, I’ve never paid much attention to video editing before, it’s always seemed way too complicated. So apart from the few videos I created during my design course at Uni, I never gave it much thought. However, the GoPro Studio software makes it all quite simple. I was easily able to see the video as separate frames and figure out exactly what the black dot darting across the screen actually was…. To some people this might not seem like a big deal, to me it was so magical. I remembered trying to snap photos of them in Thailand but they were so fast it just never worked out. Discovering this beautiful bird hidden amongst our holiday media totally made my day. How could I not love the GoPro after that?? Click here to see the full spec on the GoPro Hero 4. My sister bought hers from the Dixons store at Manchester Airport, but they are available in most electronic retail outlets. The price doesn’t tend to vary but if you get the chance to buy it tax free on your travels you can save yourself some cash. Are there any other great cameras/video cameras we should be looking at before we decide on our next purchase??? All suggestions would be much appreciated.